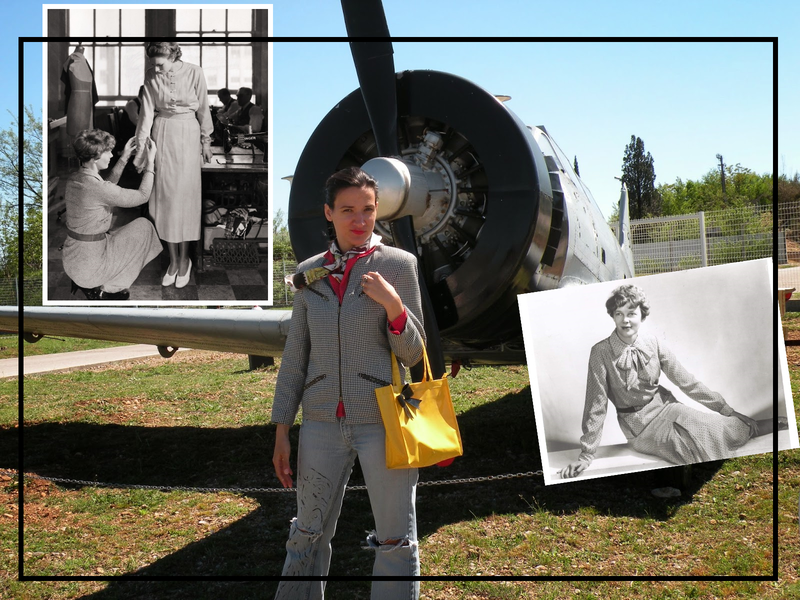 What is the link between Amelia Earhart and fashion? Well, for one Amelia was known as one of the best dressed ladies of her time. Amelia sewed her own dresses, and while it was pretty common for women to sew their dresses back then, Amelia's dresses got her a lot of compliments. 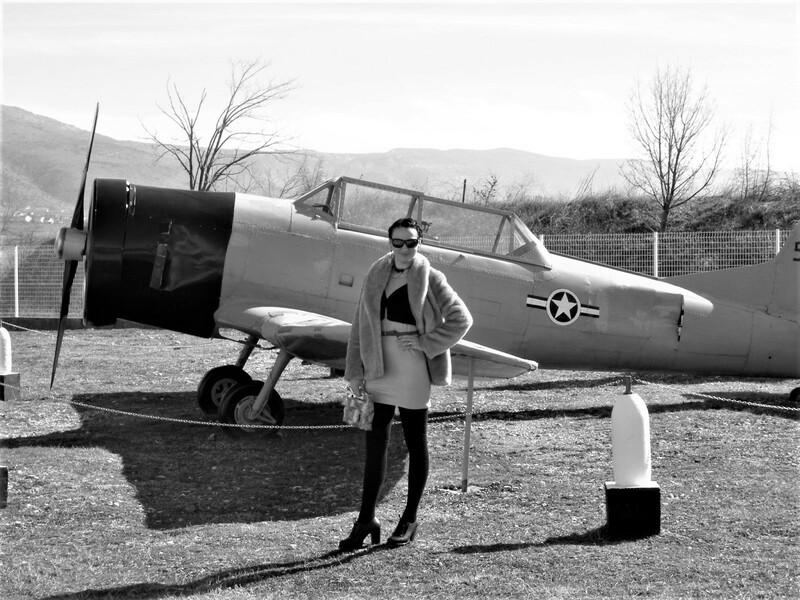 Moreover, Earhart took it a step further by designing a fashion line inspired by aviation. Amelia Earhart was the first celebrity to launch a fashion line in her name. She also designed it herself, sketched the designs with a seamstress working alongside her. Unlike many modern day celebrities who just put their name on whatever, Amelia really put some thought into her designs. Did you know that Amelia was a fashion designer? 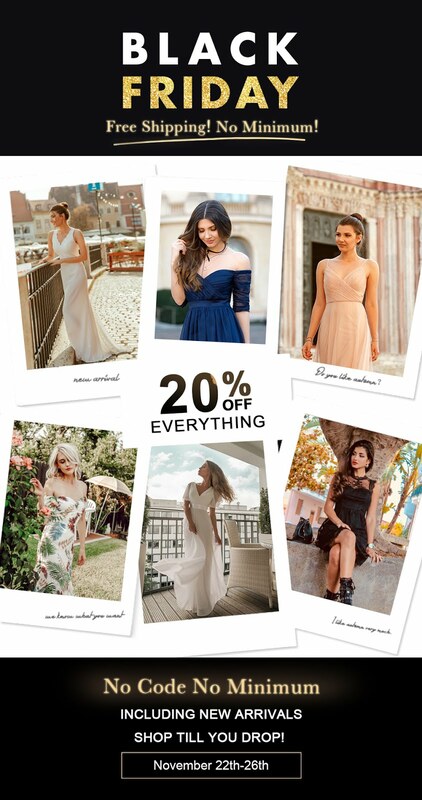 Did you know she was quite fashionable and praised by many for her feminine charm and elegance? Today we think of her as a tomboy but I think there were many sides to her and that is what made her so wonderful. Do you like aviation chic? Do you like old airplanes? There is something so glam about vintage airplanes. Today I’m sharing with you some old photographs taken at Mostar airport, completed with some shots of Amelia herself. Behind me you can see a vintage plane. Moreover, I’ll also talk a bit about a book that I read recently. Basically, this post is going to be all about Amelia. Recently I have read a book that taught me a great deal about Amelia. 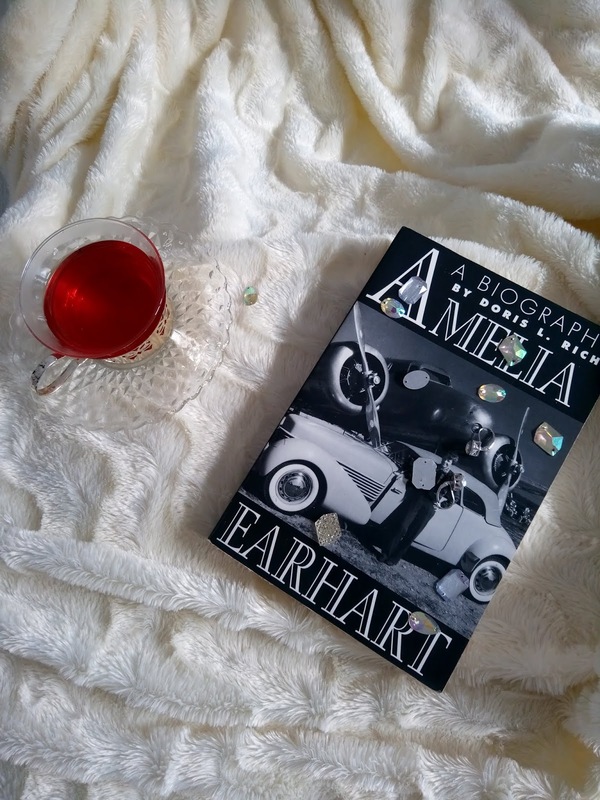 What can I say after finishing Amelia Earhart: A Biography? It is a fine book. Written by Doris L. Rich, this book feels well researched. This biography is intelligently written and perfectly paced. It is very linear, it doesn't go back and forth but follows the story of Amelia's life quite evenly. You get the feeling that every period of Amelia's life was of an interest to the biographer, and that seems to me a good thing. This biography is not very long (around 300 pages) but the book is packed with information and the writing is, in that sense, very dense. It pains a very interesting picture of a known heroine. Only at times did I feel like the author wasn't objective and tried to push her own opinions about Amelia. There were many things about this book that I liked, and only a few that I didn't, so perhaps I could go so far as to say that I loved reading this book. It provided me with a whole new insight into the life of Amelia Earhart. Amelia Earhart- here is a woman that almost everyone has heard of, but few know in detail. I suppose that is the case with many legendary aviators. Often the legend obscures the person. I was somewhat familiar with Amelia before reading this book, but there was also a lot that I didn't know, especially about her private life. On overall, I do feel I've learned a lot from this book. For example, I had no idea that Amelia's father was a drunk, that her upbringing was so uncertain, or that she faced financial problems all her life. I didn't know she had to work so hard for so long, to balance five jobs at once, and on top of that, to give endless interviews and lectures, often exhausted and overworked. I knew about her bravery and aviation accomplishments, but I didn't know about her kindness, patience, self-disciple and all the hard work she had to put it into everything she ever did. Amelia had to work hard for very cent. As she once said, airplanes don't grow on trees. This book is very detailed. Possibly it was because this book is so rich in historical information, that I really took my time reading it. I feel it is the kind of book that demands concentration. I didn't want to miss anything, so I read it slowly. I really like how the author focused more on Amelia's life than on her death, for it is her life that matters the most. Amelia was such a brave, kind and hardworking person and that is what we should remember, respect and admire about her. I found her life story fascinating and I feel like I learned a lot about her by reading this book. Much has been said about her death, and this book touches on that subject, but isn't her life what should primarily interest us? That's definitely something I liked about this biography, the way it puts emphasis on Amelia's life and work. Another think I like about this biography is how realistic it is. It doesn't glam things up. From urine drenched cockpits (female pilots had no way to relieve themselves on solo flights, did they?) to description of hardships and perils of early aviation. Early aviation was extremely dangerous. Regardless of gender, all early aviators risked their lives and were quite heroic. Without their sacrifices, commercial aviation would perhaps still be in development. Some aviators still risk their lives, now when I think of it. There are always explorers who will push the borders and many will probably die untimely dearth in the process. One could ask oneself- what is all for? Was it really necessary for Amelia to risk it all? 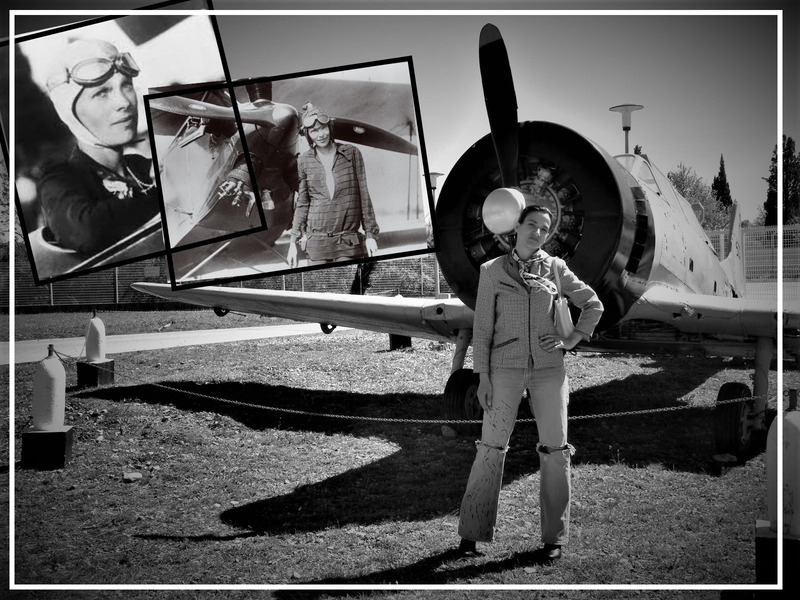 There are certainly many questions one could ask not only about her life but those of many other female aviators. There is only downside to this book. While it is very real, I can't really be 100 percent sure of how historically accurate it is. I think it is quite accurate, but I can't tell for sure. I have a feeling the writer tried to push her own mind a few times, especially in matters of G.P and Amelia's marriage. In addition, the author rarely lists her sources. I would have appreciated more footnotes and explanation of where did Rich get her data from. How can I be sure of how well the book is researched if I don't see the footnotes explaining where the claims come from? Sure, some things are common knowledge, but not all of them. In addition, the extremely negative way in which G.P is painted toward the end doesn't really have historical backing. It is all gossip more or less. We don't know for sure whether Amelia was unhappy in marriage with him. When a woman dies, one always blames the husband. But things are a bit more complicated than that. Still, even if I'm a bit uncertain about some parts of this biography, on overall I did enjoy it. It is very educating and you can always do your own research if you want to check on something or if you are not certain about some aspect of this early aviation heroine's life. Anyhow, I do recommend this biography. I think the author really did a great job of painting Amelia's personality for us while presenting a lot of interesting personal information. Whether it is 100 percent historically accurate, I can't say but a book like this one is a great place to start. 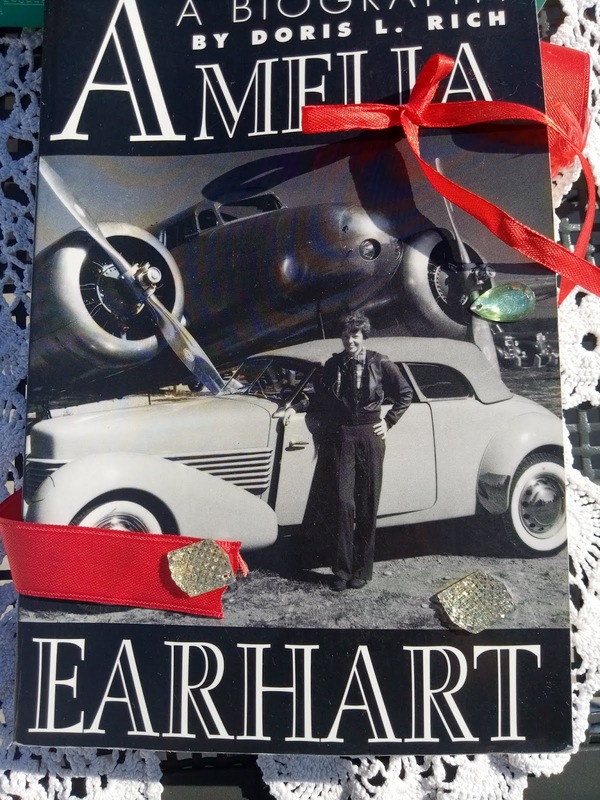 If you have an interest in aviation or Amelia's life story, you'll surely enjoy it. 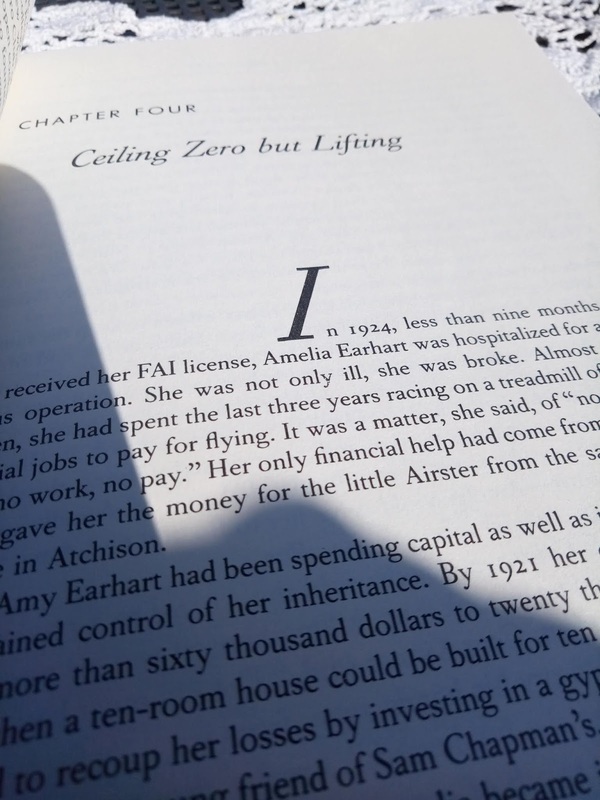 Reading about Amelia Earhart made me think of Tennessee Williams. Why is it so? Perhaps it is because they both had a difficult childhood. They grew up in impoverished Southern families, whose fall from grace largely had to do with an alcoholic father. However, despite growing up in such difficult circumstances, with an alcoholic for a father, both Amelia and Tennessee accomplished great things and had a golden hearth. They were both pioneers who challenged and questioned gender roles. Moreover, they both died in mysterious circumstances that some link to a suicide. I don't know, I just found their stories to be quite similar and equally touching. That would be all for today. Thank you for reading. Let me know what you think about aviation chic. This biography sounds like a great read. I will have to add it to my Kindle list. I had no idea Earhart was a fashion designer or that her life was so difficult. She really was a pioneer for us women. I love this post! Very interesting. I never knew that Amelia Earhart was a fashion designer! This seems like a good read I'll have to look into. Thanks for sharing! Non sapevo che fosse anche una stilista di sicuro era una donna molto coraggiosa e innovativa! Wow such an interesting post ! Conoscevo la storia di Amelia Earhart anche se non così nel dettaglio! 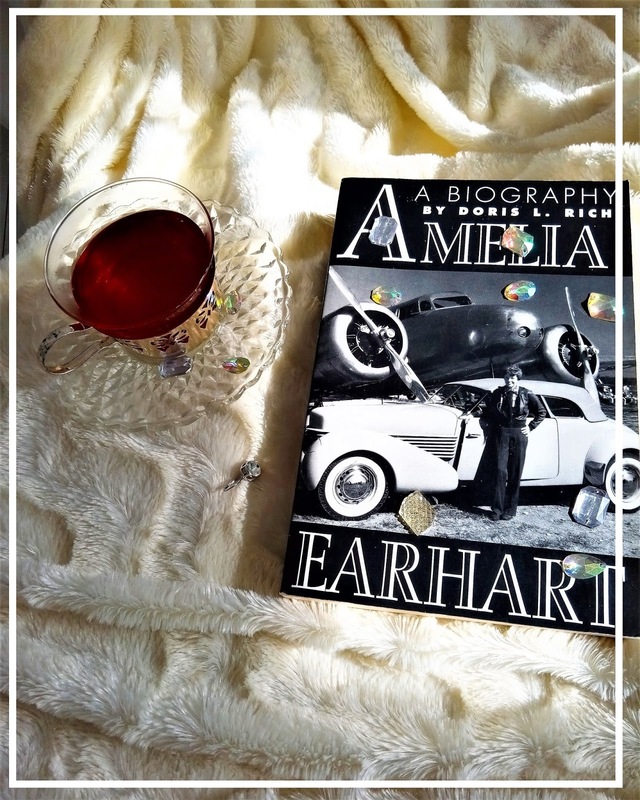 That's fascinating about Amelia Earhart and this books sounds like an illuminating read. I've never thought of her and Tennessee Williams having much in common but when you lay it out like that, there were some parallels for sure. Such an interesting post dear! :) I know about her history and she certainly was a referent for all women in the world, so, thanks for sharing! Need to read that book! Love how you coordinated your outfit with her style! Much love for outfit posts like these. You look very stylish in both your outfits :) I had no idea that she was into fashion - I knew only about her love for aviation! What a fascinating book, thanks for sharing! thank you Mica. I thought it was interesting too. Wow...I had no idea that Amelia was a fashion designer....that's so cool. Yes, early flights were extremely dangerous. A lot of people died in an effort to promote flying. It took a lot of work to make aviation commercial. Your review and your outfit is so great!! and I would love to know about Tennessee Williams more! Thank you. Tennessee Williams is one of my favourite playwrights. Love your article, it is worth reading. I love your fashion article.